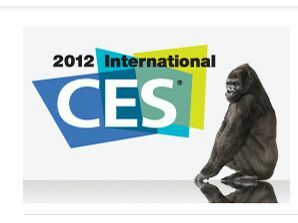 Gorilla Glass is set for a bit of an upgrade with its maker, Corning, revealing that the second generation of the hardy glass will be unveiled at CES 2012. Although the company is giving nothing very useful away, it has said that Gorilla Glass 2 will help handset and tablet manufacturers move toward "higher functionality from thinner designs." As James Steiner, senior VP and general manager of Corning Speciality Materials says, "Handset and tablet device manufacturers are clearly driving toward higher functionality from thinner designs. Corning's latest innovation in Gorilla Glass technology is very well positioned to meet these challenges and enable broader touch technology penetration." Also on show in Vegas next week will be an 82-inch multi-touch LCD Gorilla Glass display and car and home appliance displays. Keep your eyes peeled for more from the ape-inspired display manufacturer on Monday 9 January.